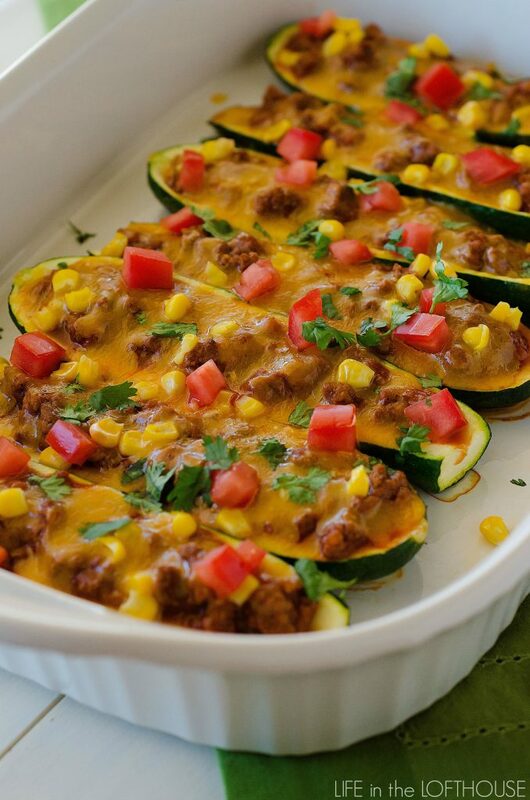 If you are a big zucchini fan like us, you are going to love these Beef Enchilada Zucchini Boats! They are beyond delicious! 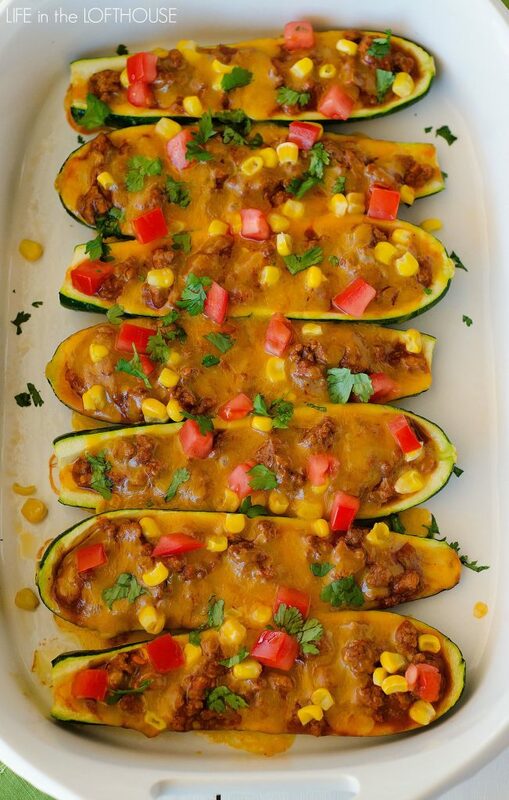 Seasoned ground beef and homemade enchilada sauce stuffed on top of zucchini. Oh my goodness. The pictures alone are making me crave them all over again. Preheat oven to 400° F. Spray a 9x13-inch baking dish with cooking spray. Scoop out centers of cut zucchini leaving ¼ inch rim to create the boats. Lay zucchini in baking dish. Bake for 20 to 25 minutes or until tender. Meanwhile, cook ground beef and onion in a large skillet, over medium-high heat, until browned and crumbled. Drain grease. Add garlic, tomato sauce, chili powder, cumin and paprika. Stir to combine. In a liquid measuring cup whisk ⅔ cup water and cornstarch together until blended. Pour into beef mixture. Season with salt and pepper. Bring mixture to a boil, then reduce heat to low. Simmer 5 minutes then remove from heat. 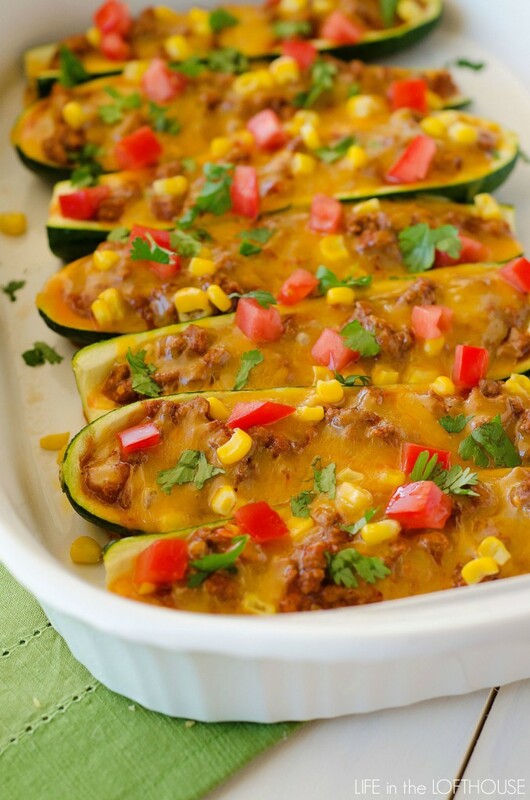 Remove zucchini from oven and spoon beef mixture into zucchini. Sprinkle tops with corn and cheese. Return to oven and bake 5 to 10 minutes or until cheese is melted and bubbly. Remove from oven and let stand 5 minutes before serving.